The building was built in 1964, saw its last firetruck leave in 1996, and was headed for demolition before the developers arranged to buy it from the city of Lewiston for $1. 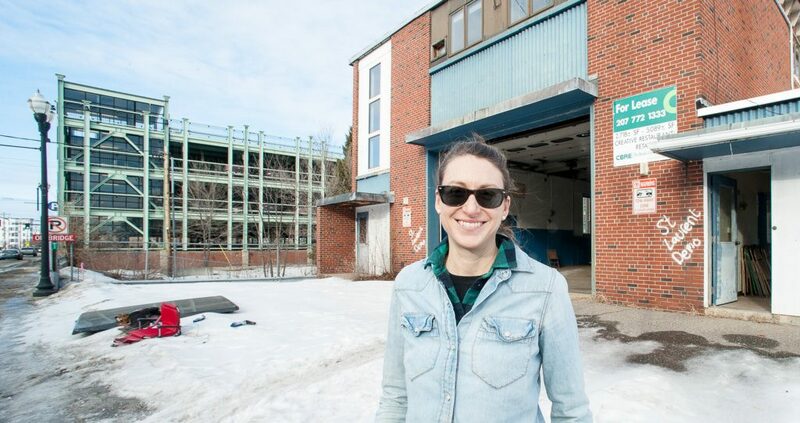 LEWISTON — After saving it from demolition last summer and arranging to buy it from the city for $1, a pair of Portland-based developers hope to see the long-shuttered Lincoln Street firehouse open for business later this year. 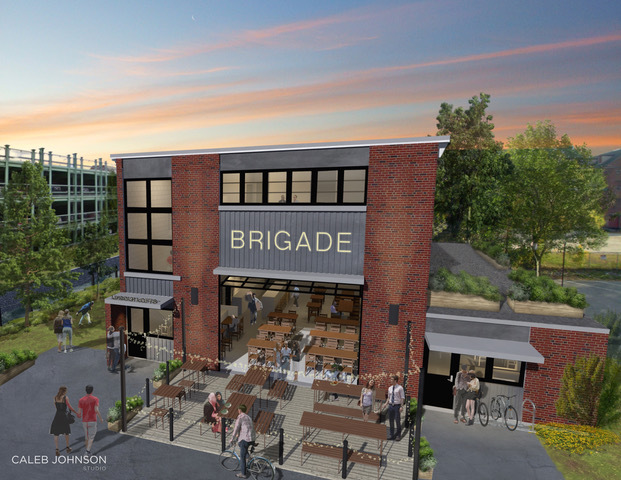 Kara Wilbur and Paul Peck want to attract a restaurant or brewery and renovate the second story into two apartments. The substation was built in 1964 to serve the mills and the Little Canada neighborhood. The last firetruck left in 1996. It served in later years as space for the Police Department’s Computer Crimes Task Force and storage for Public Works. It had issues with leaks and mold, and by last year the city awarded a demolition contract to take it down. It was the words “St. Laurent demo” spray-painted on the building that caught Wilbur’s eye. Wilbur is co-chairwoman of the Build Maine conference held in Lewiston. The conference last year added cones and made other temporary bike-friendly changes to Lincoln Street in a safety experiment that slowed traffic. After seeing that the old substation was marked for demolition, she reached out to city staff to see if it was too late to save it and approached Paul Peck, president of the Maine Real Estate & Development Association, to see if he’d like to partner on a project. “Kara is very dedicated to urban renewal,” said Peck, who liked what he saw when he visited the building. Lincoln Jeffers, the city’s economic and community development director, said four people contacted them after the spray paint went up. Two proposals were pitched to city councilors last year in executive session. The demolition bid had been issued and demo work had begun, but councilors halted the process and picked Wilbur and Peck’s plan. The city firehouse is assessed at $195,280. Wilbur and Peck have a purchase-and-sale agreement in place that gives them until June 1 to close or give notice of closing. They’re pursuing historic tax credits after having worked to get the building placed on the National Register of Historic Places, which also takes time. Wilbur said they’ve set a construction budget of $600,000. She’d like to see work move along quickly enough for the new tenant to open this summer. She recently spent hours cleaning out the space, removing lots of old fire equipment. There’s a huge, high-ceiling bay where firetrucks used to park, one small room to the side, and a kitchen and basement, in addition to the space upstairs. She got to know business owners along Lincoln Street by dropping in to get feedback on the road changes made for the Build Maine conference last summer. On the whole, they weren’t fans but were pleasant and respectful about it, she said. When Wilbur circled back for thoughts on the firehouse being demolished, they were surprised and wanted to see it stay.